One of the first paintings in the Exhibition ” That’s Jazz, Voices from the Past” shows unusual colour combinations and tones. Boldly rendered in patches and layers of colour evoking a sense of “Club life” with secondary figure slightly out of focus in the background. Trevor uses the lighting to keep his viewers mind entirely centered on the player and the sax, hence the title. 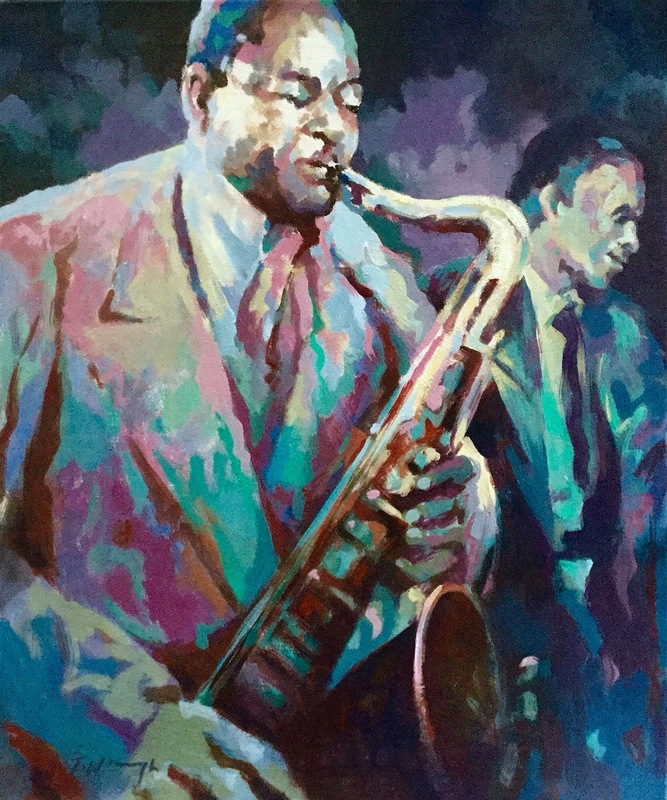 ” I don’t really know why I used this title, other than to say the player holds a saxophone and in those days probably wore “Spats”.” Pinks and greens are the major colours influenced by a “Bluesy” stage lighting effect.